Revision Alpha Review 2019: Is Revision Alpha a Good Hosting? Argentinian hosting vendor Revision Alpha has over 16 years of experience in the hosting industry. It offers shared web hosting, cloud servers, dedicated server solutions, and other internet services. 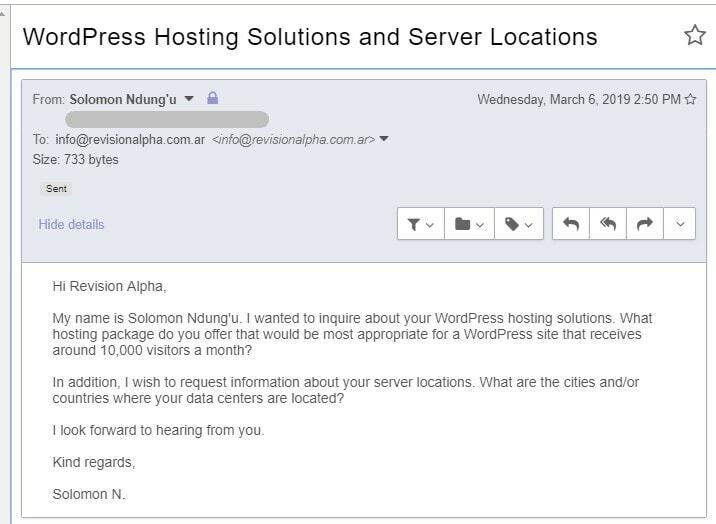 Argentinian internet company Revision Alpha boasts of having over 16 years’ experience in the hosting industry. It offers an array of hosting solutions that include shared web hosting, cloud servers, and dedicated server solutions. In addition to its web hosting solutions, Revision Alpha offers ancillary services such as web development, digital marketing, and IP telephony services. Revision Alpha’s website contains an odd mixture of mainly English and a little Spanish text, at least when viewed from my location. While this vendor doesn’t offer any SSL certificates (as far as I can see), it does do daily backups of its customers’ website data to protect against disaster. Revision Alpha has partnered with Untangle to provide server protection against viruses, spam, malware, network attacks, spyware, phishing, and DDoS attacks. The data center is located in a highly secured environment. It has redundant connectivity with Tier 1 data carriers to maintain high uptime, and the primary network is powered by Cisco networking hardware. Revision Alpha’s U.S. dollar-denominated hosting plans are very costly, and they come with no free trial period or money-back guarantee. But you do get a 99.9% uptime guarantee (lower than the industry average) and free migrations. You can contact Revision Alpha’s 24-hour support center via telephone, email, or live chat. I found the Messenger live chat pop-up window to be unreliable; it keeps appearing and disappearing. And although there is a ticketing system, it is only available to customers who have subscribed to this vendor’s IP Telephony services. When I emailed Revision Alpha, I received no reply. Revision Alpha’s web hosting infrastructure appears to have the capacity to host businesses of all sizes, from blogs to small websites, and even high-traffic e-commerce websites. Its cloud hosting plan uses the latest server technology to offer fast, scalable and reliable hosting services. However, the vendor’s high hosting prices and unresponsive support team are likely to discourage prospective customers who might otherwise be attracted. Purchase Cisco-powered Argentinian hosting from Revision Alpha. 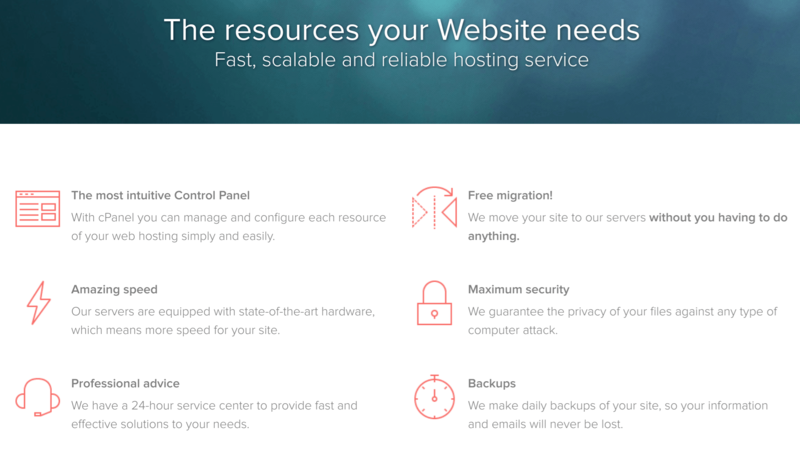 Wondering how Revision Alpha stacks up against other Web Hosting companies? Enter any other Web Hosting company and we will give you a side-by-side comparison.